Low Cost Home Moving Services at fixed prices! This special offer of cheap removals in Dublin is ideal for people who are moving house or apartment in Dublin and are looking for an experienced and reliable, but low-cost moving service. The €60 rate is perfect for tenants who don’t own any furniture or have no large items of furniture. It’s perfect for those who don’t have a car, and therefore they have no easy way of transporting all of their belongings from their old place to their new home in one go. Our €75 rates is perfect for house and apartment moves where one full van load of large furniture, large electrical appliances and other household items and belongings is to be moved, and if you are happy to help the driver lift the large items in and out of the van. For many one and two bedroom home moves, hiring the man and van services of e-Van Transportation will allow you to transport all of your belongings to your new apartment or house in one large van load, for a quick and easy move. 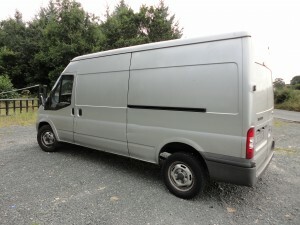 For larger house and apartment moves, you can also book us for additonal van loads or book one of our larger vehicles. For very small home moves, we also offer moving services in small vans at a 10% discounted rate. 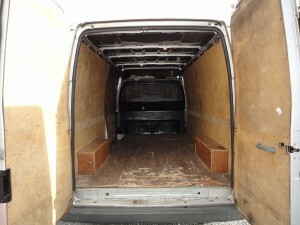 For man and van cheap removals in Dublin that involve different criteria, e.g. more van than one load or a larger or smaller van, you can request a quote here. For cheap removals from Dublin to Wicklow, Kildare, Meath, Louth and Laois and within those counties, click view pricing button below. You will also find pricing there for cheap removals from Dublin to anywhere in Ireland or Northern Ireland.